Richmond Hill, ON, Jan. 15, 2013 -- The 2013 Mazda3 and the 2014 Mazda CX-5 were just recognized as a "Top Safety Pick" by the Insurance Institute for Highway Safety (IIHS). Both vehicles received the organization's highest possible crash safety rating of "Good" in all frontal moderate overlap, side, rear impact, and roof strength tests." 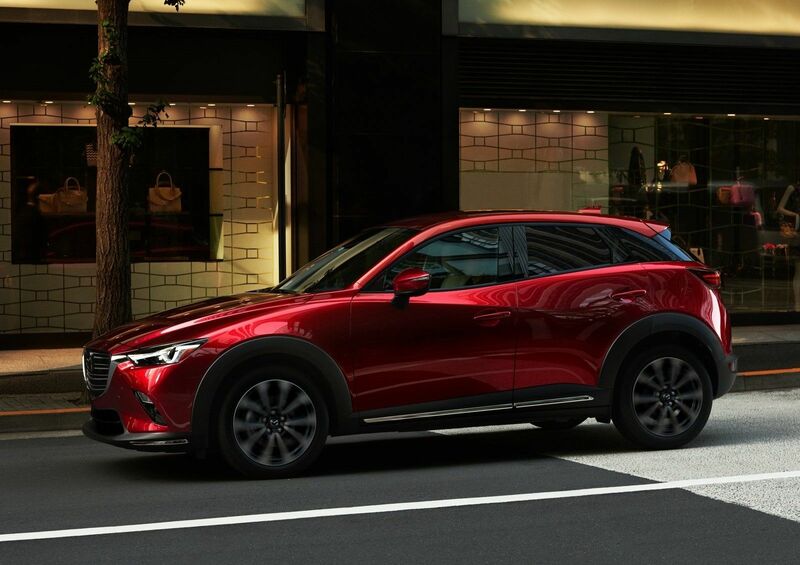 "The Mazda3 and the CX-5 are two very important vehicles for Mazda and our customers," said Kory Koreeda, president and CEO, Mazda Canada Inc. (MCI). "Both of these vehicles are outstanding performers on the road and it is only fitting that they perform at a high standard when it comes to safety. Receiving the 'Top Safety Pick' distinction is a testament to Mazda's dedication to building vehicles that will keep their occupants safe and sound." Vehicles receive ratings based on results from the Institute's evaluations on front, side and rear impact crash tests as well as a roof strength test, which measures occupant protection in the event of a rollover. Each vehicle's overall evaluation is based on measurements of intrusion specific to each crash angle and the injury on crash test dummies positioned within the vehicles at the time of collision. All 2014 CX-5 vehicles feature the full suite of SKYACTIV technologies. The SKYACTIV-Body and SKYACTIV-Chassis help to contribute to a rigid and quiet ride. Additionally, both of these design elements also contribute to CX-5's reinforced structure, which works best to absorb impacts and not transfer that energy to its occupants. SKYACTIV-Body and SKYACTIV-Chassis incorporate a high amount of high-tensile steel (more than 60 percent), which saves weight and gives CX-5 more strength. CX-5 was also the first production vehicle to utilize 1,800MPa ultra-high tensile steel, which are utilized in the front and rear bumper beams, and results in parts that are 20 percent stronger and 4.8 kg (10.6 lb) lighter than previous generation bumpers. Mazda3, the first vehicle to receive SKYACTIV TECHNOLOGY, features SKYACTIV components with its engine and transmissions. Mazda3 was also named a "Top Safety Pick" for the 2012 model year. Standard safety equipment on both the 2013 Mazda3 and the 2014 CX-5 includes six airbags (advanced dual front, front-seat mounted and full-length side-curtain), four wheel disc brakes with anti-lock brakes (ABS) and Electronic Brakeforce Distribution (EBD) and Brake Assist, Dynamic Stability Control (DSC) combined with a Traction Control System (TCS), a Tire Pressure Monitoring System (TPMS), a "crushable" brake and accelerator pedal assembly and collapsible steering column, side-impact door beams, three-point safety belts for all seating positions, front seatbelt pretensioners with force limiters as well as Lower Anchors and Tethers for Children (LATCH). Available options include a Blind Spot Monitoring (BSM) system and Adaptive Front-lighting System (AFS) with auto-leveling bi-xenon headlamps.